HAMILTON, Ohio - A couple accused of abandoning the adopted 9-year-old son they raised from infancy pleaded not guilty Wednesday. 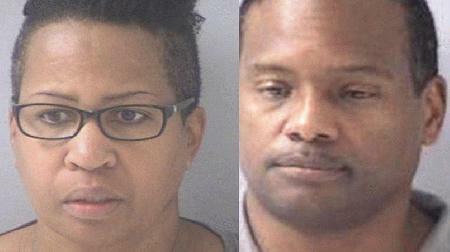 Cleveland Cox, 49, and Lisa Cox, 52, are charged with nonsupport of dependents. Authorities allege the couple left the boy with children's services after saying he was displaying aggressive behavior and had earlier threatened the family with a knife. Trial is scheduled for Feb. 10. According to the Hamilton Journal News, court records indicate the Coxes, “in concert” with child services agreed to terminate their responsibilities as parents. The couple was allegedly advised to tell the child about the separation, but when they dropped him off on October 24, he didn’t know why he was there. After the parents left the boy, he allegedly told his caseworker he thought he was going to a hospital “to be fixed,” according to the paper. The executive director of the Washington-based Congressional Coalition on Adoption Institute, Kathleen Strottman, said she is concerned about the boy's well-being but also worries the threat of criminal prosecution could discourage adoptive parents from seeking help. As an adoptee, "you need reassurance that you are not alone," said Sixto Cancel, a junior at Virginia Commonwealth University who said he experienced abuse and never found a good fit in foster homes. Cancel now advocates for adopted and fostered children. Greg and Robin Smith, another Ohio couple, last week adopted four siblings - ages 5 to 12 - whom they cared for as foster children for several years. According to the Journal News, if the couple is found guilty, they could face up to six months in jail and a $1,000 fine.